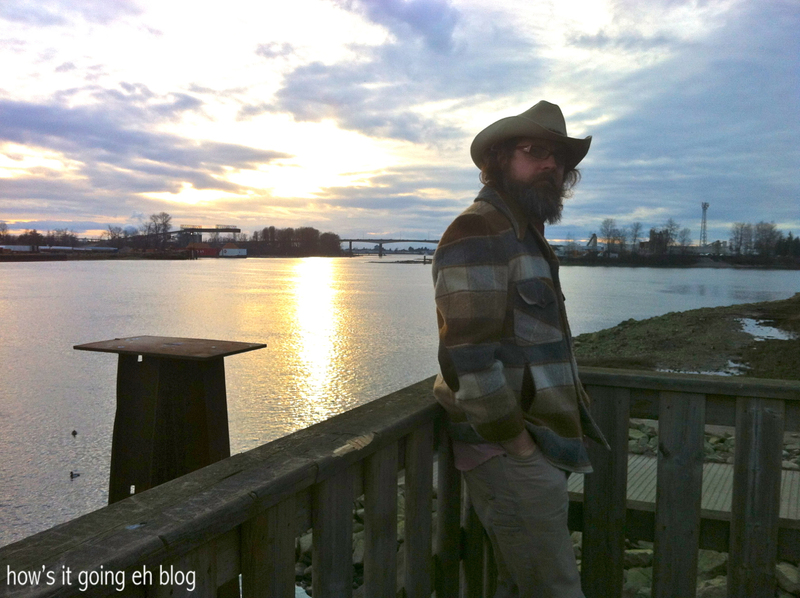 Lately… | how's it going, eh? Well, sort of! It’s been difficult with Jeff’s long hours + the fact that I can’t lift + heave heavy things around like I used to. It’s been slow going! Everyone’s been asking since the beginning of the pregnancy if the nursery is ready. I’ll show you the nursery!!!! JUST KIDDING!!!! We have since cleaned it up since this photo. 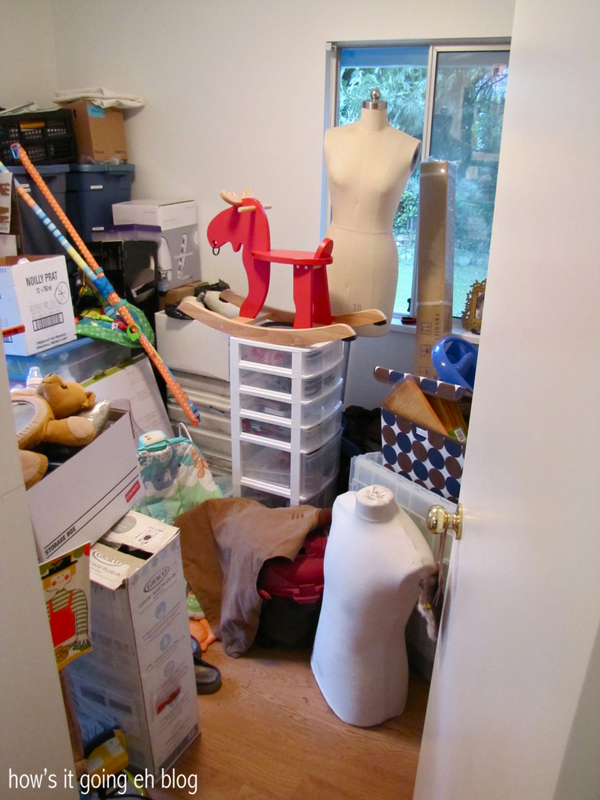 But it was used as a dumping ground of sorts as we have been working on other rooms. The nursery is still a work in progress, but I’m not concerned about it because the baby will be in our bedroom for the first couple of months anyways! 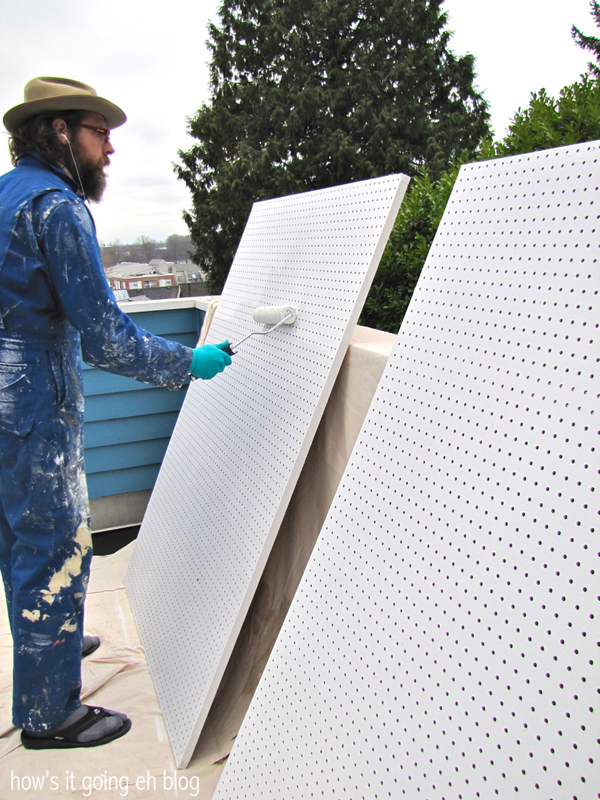 Jeff painting some pegboard white. They are now hanging in our office for maximum organization! 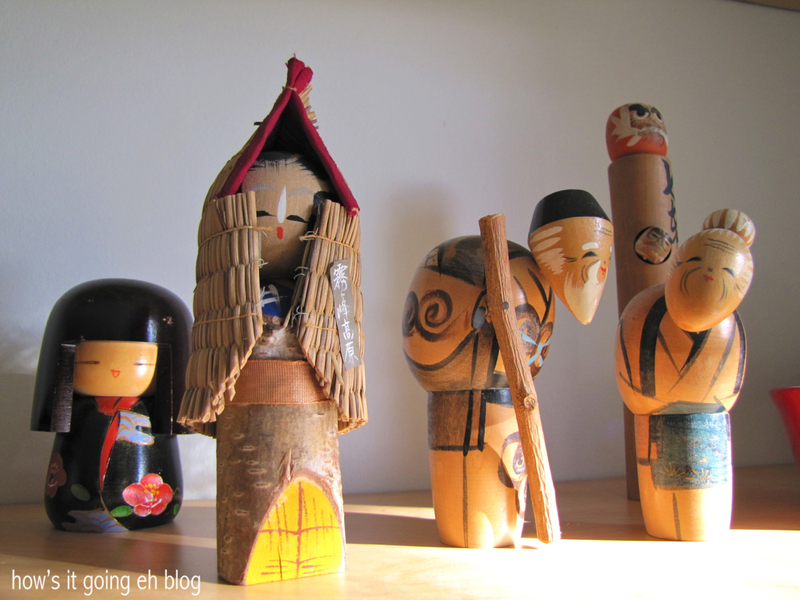 Still life of some of our Japanese collection. We’ve finally been getting around to putting up pictures + decorating. More to come! 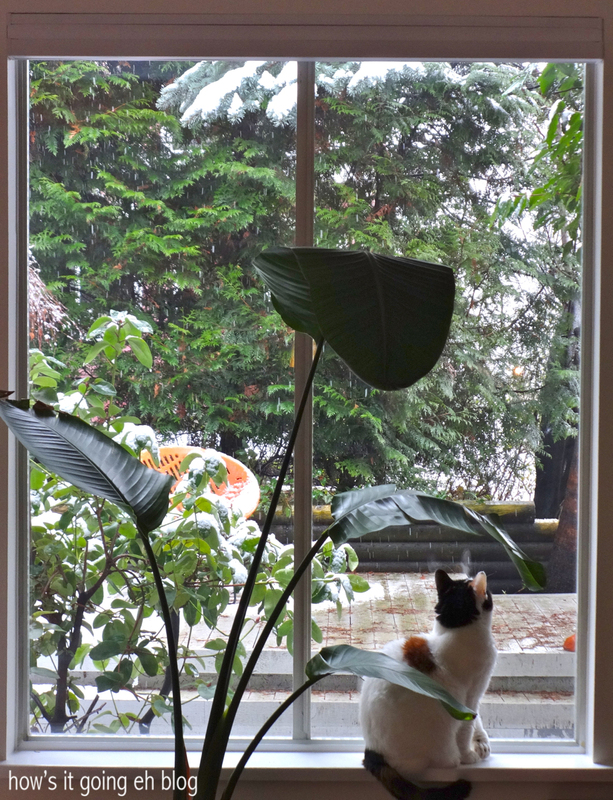 Megumi enjoying the falling snow that we have had. 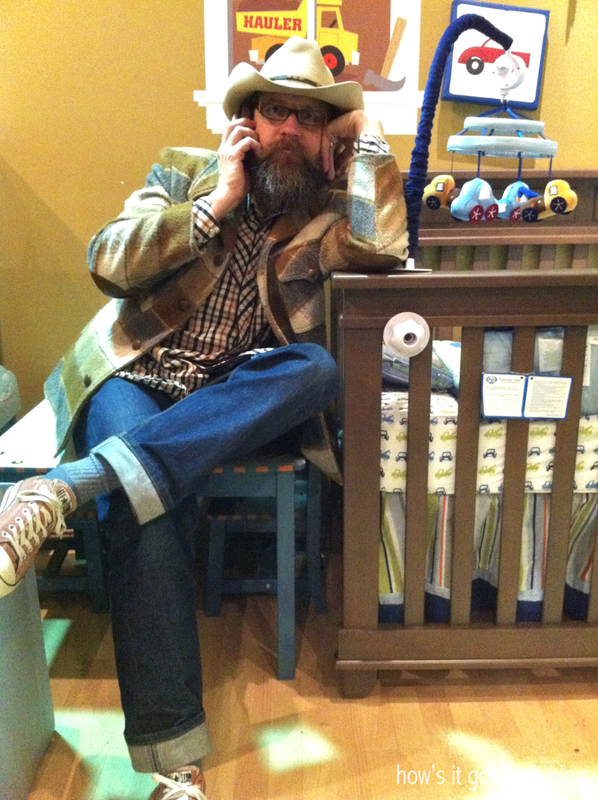 Making phone calls at the baby store. We’ve been popping in + out of baby stores – mostly to get an idea of what to keep an eye out for at thrift stores! Hah! 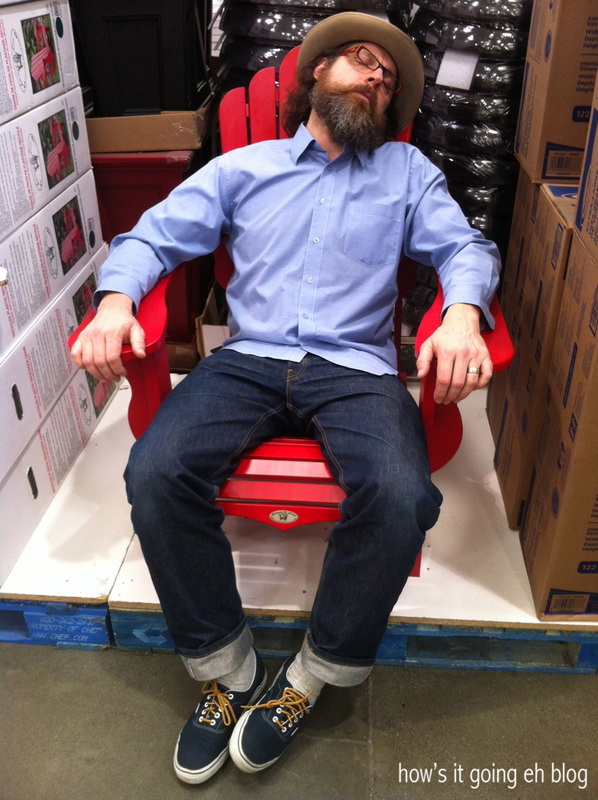 Resting at Costco. Trying to stock up on essentials so that we won’t have to run to the store too much in the first weeks of baby being here. 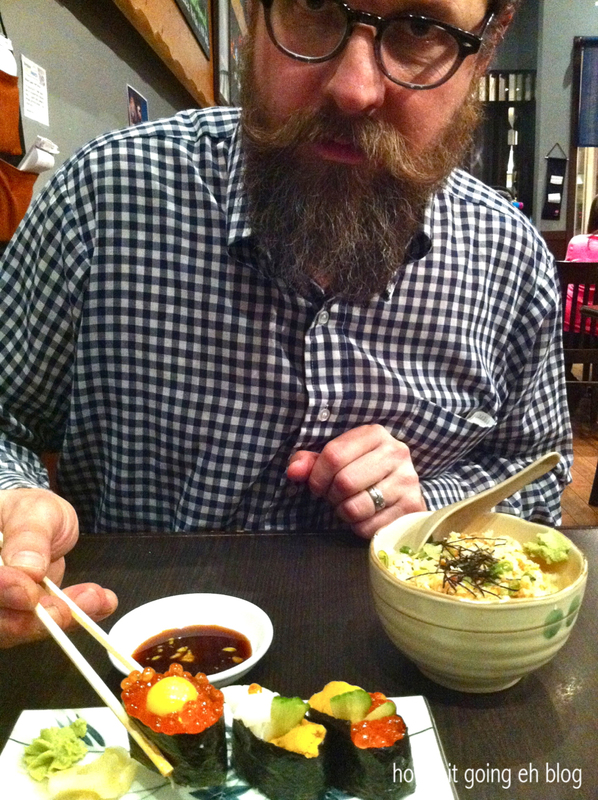 Grabbing some Japanese food. Now that I’m getting bigger I’m really not too excited to be cooking dinner if youknowwhatImean. 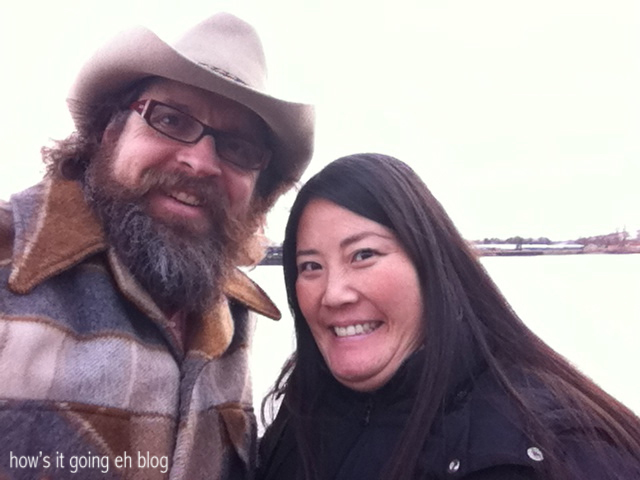 Jeff doesn’t find it very amusing when I make faces so he insists on a do-over. Me at 35 weeks! I’ll be 38 weeks tomorrow! 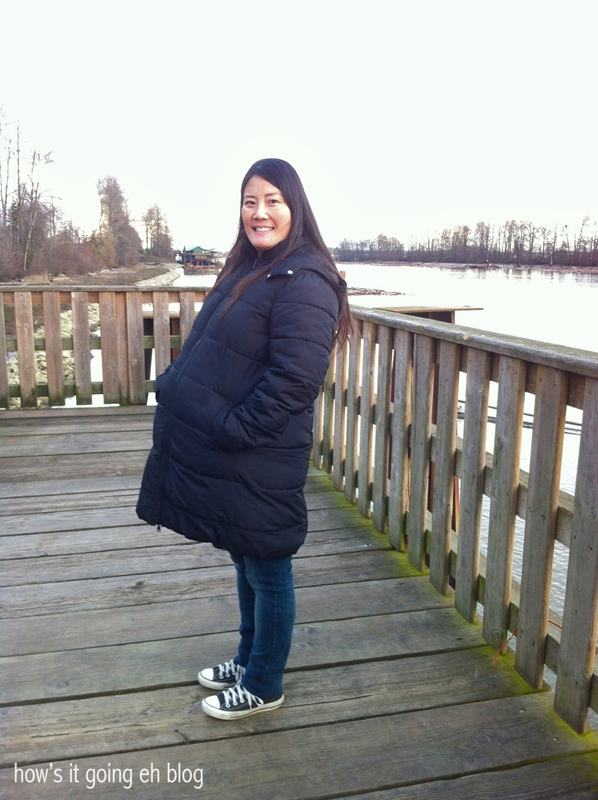 This Old Navy puffy coat is one of the best purchases I’ve made during this pregnancy – and how!!! Here’s Jeff building a queen size bed frame for when my family come from Los Angeles to visit for baby’s arrival. Doesn’t he just look so enthusiastic + happy about it?! Nice job Jeff! You deserve a rest! Any day now friends!!! Jeff + I will keep plugging along on organizing the house as best we can. I’m surprisingly laid back about it lately because I’ve gotten to the point that I’m over it + don’t expect perfection. It’s not worth getting worked up + stressed about. 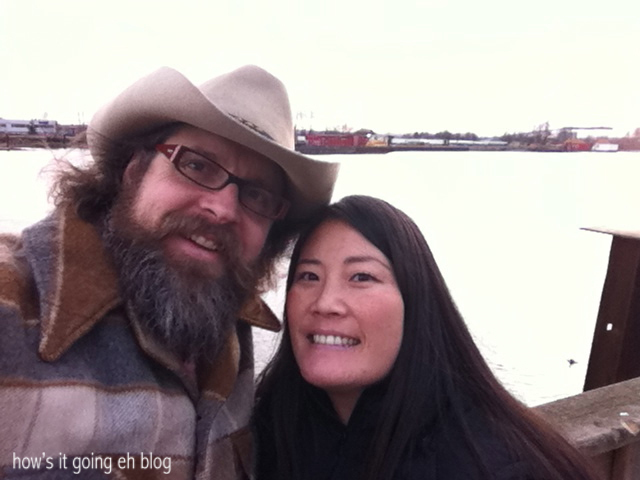 I’m just happy to have a house, Jeff, Megumi + the excitement of a new mini human to arrive! Really? Thanks that’s so sweet! I’m loving this pregnancy! 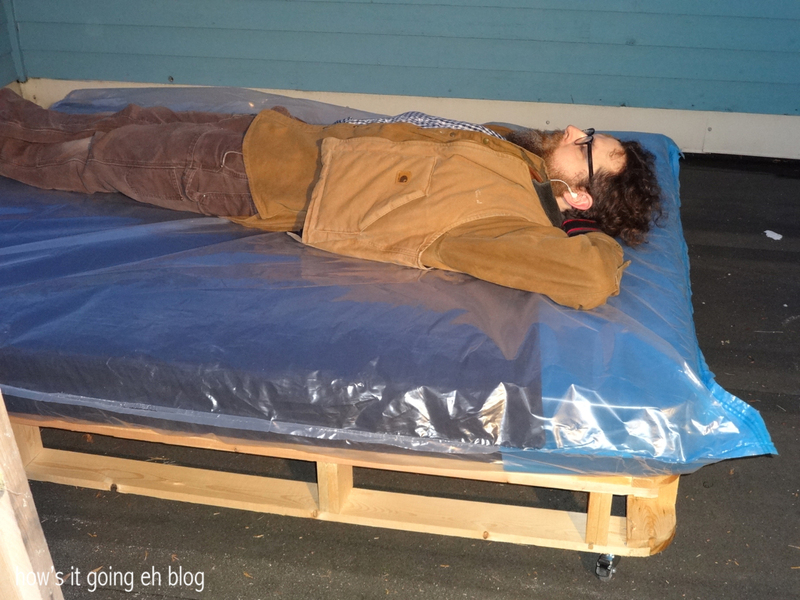 Thanks Jeff for building the bed for when we visit, it looks super comfy! Can’t wait till Baby Fayle arrives! Haha! We’re getting it all ready! Can’t wait for you guys to get here! Love you! exciting time ahead! our baby’s nursery is our bedroom. ha. All the best to you. 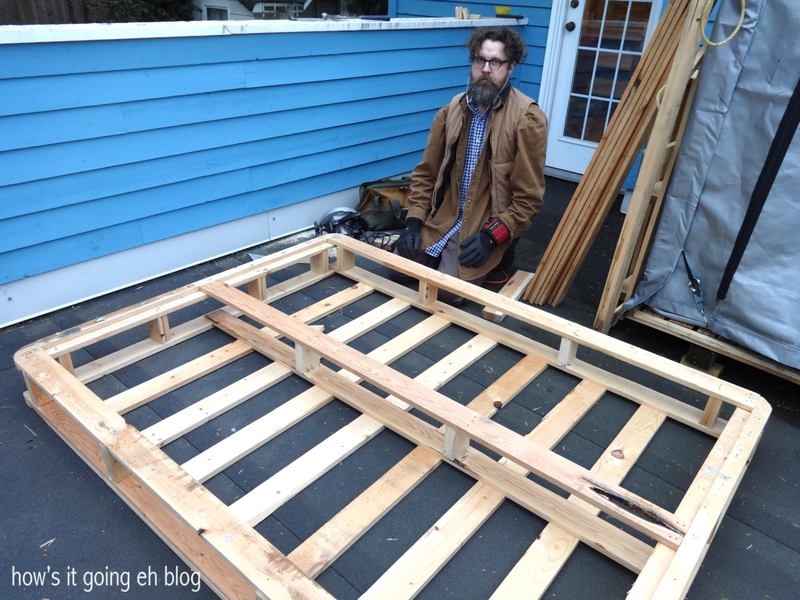 And btw…..be grateful you have a husband who can build the in-laws a bed frame. that is awesome! Very exciting! I am SO grateful! My husband is like a mad scientist of building stuff. So I guess I can call him a mad builder? Mad carpenter? I’m really lucky he’s so handy! Thanks for the well wishes + stopping by! U are lucky he’s creative and ‘a Mad Carpenter’,..
You won’t have to sleep on the floor! We’ve got the queen bed + a twin set up, remember??? I know I kept telling Jeff – we’re Japanese – we can sleep anywhere! But he insisted! Hey dad, don’t get tooooo excited to go out + about when you’re here! 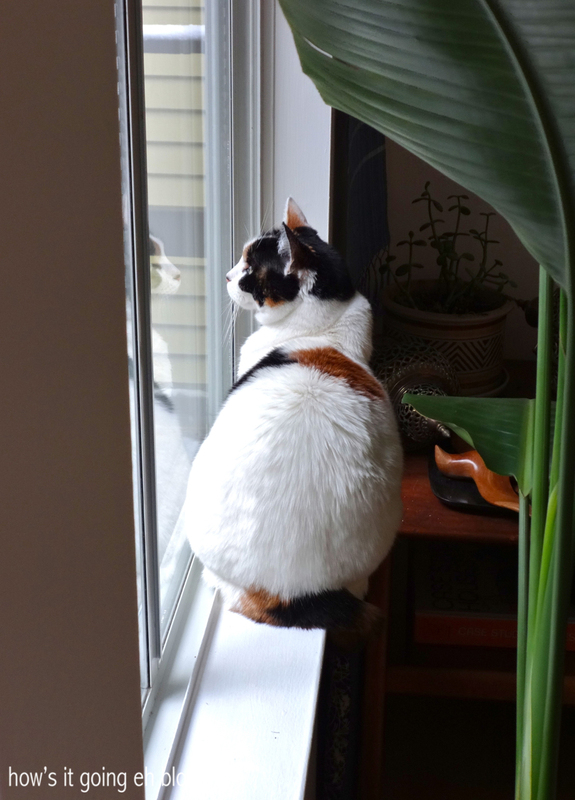 The baby is going to be really little! Thanks! So much is going to change…VERY SOON!! !